The Divine Mercy is a Roman Catholic devotion to the merciful love of God and the desire to let that love and mercy flow through one’s own heart towards those in need of it. The devotion is based on the apparitions of Jesus received by Saint Faustina. 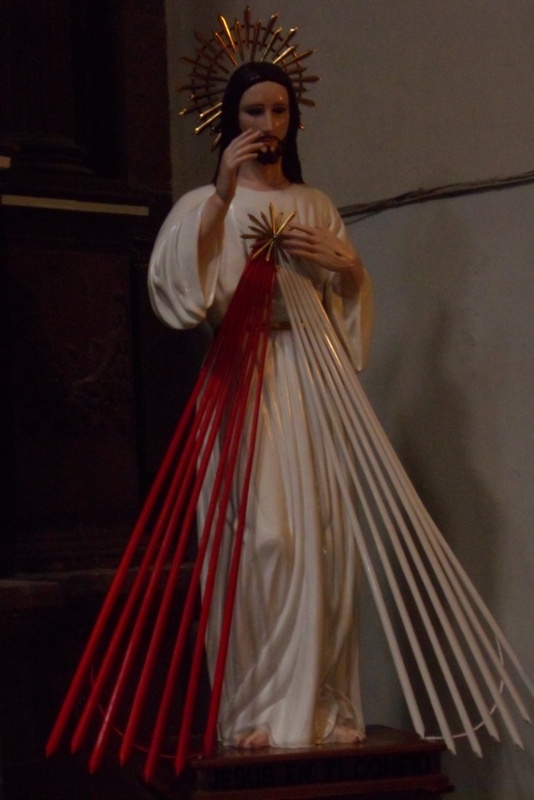 Divine Mercy Sunday is the Sunday after Easter placing emphasis on the veneration of the image of Divine Mercy which Sister Faustina reported as her vision of Jesus in 1930’s Poland. The image is displayed and venerated by local Catholics featured in many San Miguel churches including San Francisco, Las Monjas and Nuestra Senora de la Salud. During Divine Mercy Sunday specific prayers are said at 3 p.m., the hour of Jesus’ death requesting Jesus’ mercy in dire situations. This popular image of Jesus features white and red rays symbolizing cleansing water and the loving blood of Christ. Many local miracles are attributed to Jesus’ mercy depicted in the image. Divine Mercy, la Misericordia Divina, is celebrated at the Temple of Good Health (Salud) starting with a mass. Often you will see images of the Divine Mercy on the way to or from church to receive special blessings on this day of miracles requiring a lot of divine help. Following the mass, popsicles are served symbolizing Jesus’ cleansing water, now frozen signifying happiness.